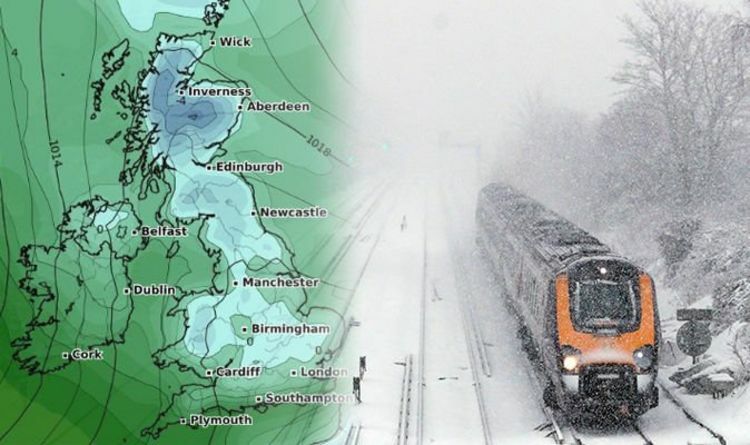 Snow covered the UK last week causing road closures, flight cancellations and rail delays. Temperatures plummeted, with Braemar in Aberdeenshire seeing the mercury plummet to an icy -15.4C. Today the south awoke to heavy rain, whilst northern Scotland has seen yet more snow. Will it snow again in the UK this week? There is currently a yellow weather warning in Scotland for snow and ice, spanning Central, Tayside & Fife, Grampian, Highlands & Eilean Siar and Strathclyde. The warning began last night (Sunday) at 9.00pm and is in place until midday today. Accumulations of 1.1 - 2.3 inches (3-6cm) are likely, and ice is “an additional hazard”. For the rest of the UK, it is a mild start to the day says Met Office meteorologist Becky Mitchell. Ms Mitchell said: “It’s a cloudy, wet and mild start across southern parts first thing, but in northern Scotland, we do have some snow. “The reason for this weather is a cold front, draped across the country from north to south and that will gradually work its way into the north sea over the next few hours. “So what that means for most of us it should be an improving picture into this afternoon - drier and brighter skies. “In northern Scotland is where we have the snow first thing and a risk of ice. Over the next week, the UK looks unlikely to see any more snow, with the remainder clearing from Scotland this afternoon. Today will remain grey and rainy for the southeast, but tonight freezing fog will blanket many areas. This week will feel less cold than previous days, but into the weekend and next week further wintry showers and Atlantic frontal systems could bring yet more snow. Despite this spell of milder weather, Ladbrokes have cut odds on February being the coldest on record from 3/1 to 5/2. Ladbrokes spokesman Alex Apati said: "It's looking increasingly likely this goes down as a record-breaking month on the weather front."